but then I dared to hope. I dared to believe my Sunday School teacher who’d told me, years before, that Jesus loved me. 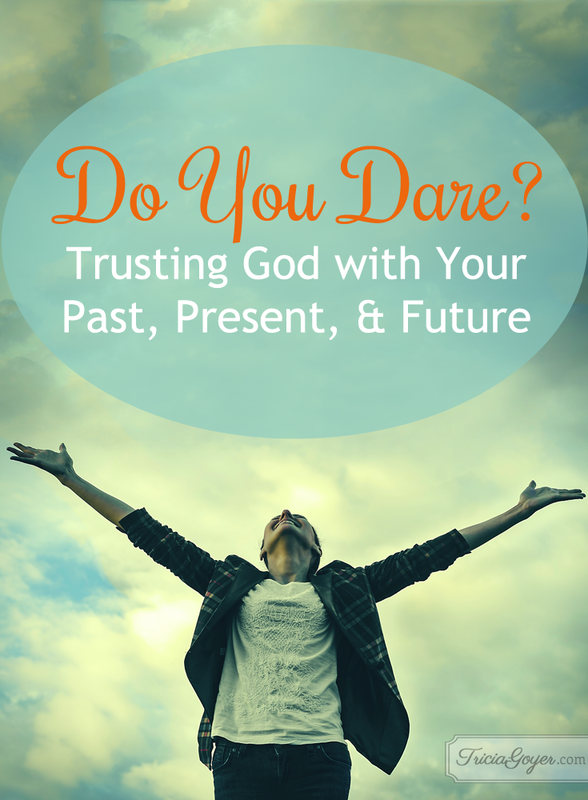 I dared to trust that God could and would forgive me for my mistakes. I took a step of faith, praying to God to rescue me. I trusted that if I turned my life over to Jesus that he could give me a good future–even though I couldn’t see it or imagine it. As I prayed those words, “If you can do anything with my life, please do,” I did not just pray them and then continue living and thinking in the destructive ways that got me where I was. Instead, I knew I needed to do my part. I started reading my Bible. I started praying. I stopped watching television that promoted ungodly living, lust, destruction, and darkness. I stopped listening to music that turned my mind away from God. I instead listened to music that praised God and promoted right living. I surrounded myself with Christian friends. I attended church and modeled my life after those who were serving God. I prayed for my future, myself and my son. I worked to control my tongue. I sought forgiveness when I messed up. I got on my knees, and I confessed when I messed up. I shared with others what God was doing in my life. I spent time reading the Bible. I did not change overnight. I still cussed and cursed at times. I was drawn to bad situations. I dishonored God at times. I made bad choices. I clung to pleasures of my flesh. In fact, these are all still things that I battle with. But the more I sought God, turned to Him, read God’s Word, walked away from ungodliness, surrounded myself with people who loved God, the more I changed. It’s choosing the right way–God’s way–and turning my back on all that led me down the destructive path that made all the difference in my life. God does not expect us to be perfect, but He does expect us to seek him for guidance, strength, wisdom, and the strength to make right choices. We do this through reading God’s Word, prayer, and following examples of those who put him first. He has done amazing things with my life–more than I can imagine. And I know that he can do the same with yours. Hi Tricia. Thanks for sharing this post with us. When we feel we are at our worst that is the time we often turn to God for forgiveness. God wants people who aren’t perfect. Cracked vessels He calls us in the Bible. God takes us and puts us through the refining fires to burn the dross out. This takes some time. Slowly over the years He molds us to become more like Jesus. What God is really doing is preparing us for Heaven. It is not God’s wish for any one to perish in their sins. Revelation tells us Jesus stands at our hearts door and knocks. If anyone listens or hears Him knocking softly and opens the door to Him , He will come in and sup with them. In fact He will never leave and be with us always even until the end of the earth. I have been struggling for years with this. I was saved at the age of 5 and I have always know him but here lately in my teen years with everything that i have been facing i have began to doughty him, and the people around me that i know loves me. but reading this has opened my eyes and made me think in another way. I’m so thankful that my words were a blessing to you!! God is good!